It’s tempting to hire “Handy” Uncle Hank or the guy you found on Craigslist to tackle your home improvement project. Maybe you could save a good chunk of money or get the job done by the weekend. You could also take on the task yourself. But do you really want to risk damaging your home or injuring yourself in the process? From the special equipment to the manufacturer training and certification to the safety precautions of working in the dangerous construction industry, hiring a certified contractor makes a world of difference to your roofing, siding, or windows upgrade. Consider the top reasons to place your trust in the hands of a licensed pro. Certified contractors train and pass tests to prove their expertise and proficiency in the latest best practices for home installation, repair, and maintenance including all relevant permitting rules. There is no “guess work” or situation outside the scope of their breadth of knowledge. Experienced and educated roofers better know their materials and better utilize common sense and proper installation procedures. Factory-certified roofers also gain access to conventional, expert opinions and judgments on home improvement matters. The number one reason to hire a certified contractor: the extensive industry know-how to get the job done right the first time. Dishonesty runs rampant in the home improvement and construction industry. Unlicensed contractors may ask for the full project cost up front and fail to complete the work. Unreliable laborers may do a bad job and disappear. Working with a professional keeps the shady practices away from your home and bank account. Certified contractors licensed by the state can begin working on a home improvement project with just 10 percent or less of the total project cost.  Roofers with affordable financing options empower the homeowner’s dream with payments as low as 1% of the job cost per month. You worked hard to earn your nest egg. Hire a contractor you can trust to protect it. Danger lurks on top of a roof. According to the Occupational Safety and Health Administration (OSHA), fall-related accidents — with a significant amount related to roofing — cause the most fatalities in the construction industry. Any old roofer without proper insurance puts you at risk. Hiring a certified and insured contractor well-versed in safety precautions lowers the chance of an accident happening and alleviates you of financial responsibility in the event of injury or damage to your property. When it comes to construction work, mom was right: it’s better to be safe than sorry. Any self-proclaimed roofer can buy and install generic materials from a big box store. But roofing is a customized job: the right type of material depends on your unique home and climate. Only an extensively trained contractor certified by leading GAF manufacturers ensures every roofing material meets and exceeds the most stringent standards of quality. More than just quality materials, a certified contractor also promises quality work. From following the unique specifications of roofing manufacturers to adhering to strict local and regional roof installation codes, only a certified contractor well-versed in the regulations reduces the risk of noncompliance. At the end of the day, quality workmanship and materials ensure superior protection, professional installation, and total satisfaction. Roofing jobs on a tight schedule and estimated time frame demand a highly skilled and reliable team. A certified contractor with decades on the job puts your home improvement project on the fast track from the initial prep work to the post-job cleanup. Hire a pro: because nobody wants to deal with a permanent dumpster in the driveway. Certified contractors stand behind their work and back it up with extensive and unique warranty options. Complete and factory-certified warranties last long after the initial installation and cover both materials and workmanship. Industry-leading roofing manufacturers only grant warranties to certified roofers trained on specific installation instructions, techniques, and equipment. Qualified roofers install roof systems exactly as intended by the manufacturer to protect your investment. Uncertified roofers without access to warranty protection may do the job “one and done” — free and clear of any responsibility to your project further down the road. However, a certified contractor, trusted by a manufacturer to install its materials, gives homeowners a workmanship warranty almost unheard of in the home improvement industry. You could save a bundle by hiring a “friend of a friend” over a certified contractor. But only in the short run. Botched or bogus roof installations breed costly water damage and other expensive problems. The money you save up-front pales in comparison to the long-term costs of regular maintenance, extensive repairs, or even a full roof replacement. A certified contractor promises years of protection and peace of mind. Place your biggest asset in our hands. Ready to hire a certified contractor to tackle your roofing, siding, or windows project? Reach out to King Quality today and discover the royal treatment for you and your home.